Buy an ARMY-Standard Issue T-shirt for the entire family! Our shirts and sweatshirts come in a variety of styles and colors, and don't forget a matching ARMY-Standard Issue coffee mug. 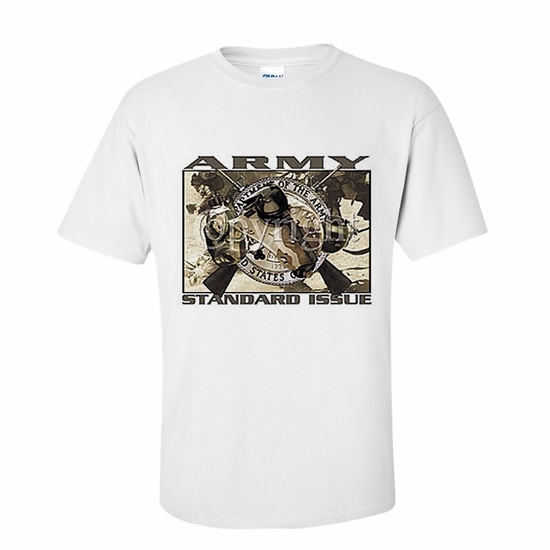 Remember� you found the ARMY-Standard Issue Shirts at TShirtHub.com, where high quality came at a low price.